Can I Disinherit My Children in Louisiana? You’d be surprised how often our offices receive questions pertaining to leaving an adult child out of their will. Or maybe you wouldn't. It happens every day for various reasons. This article will attempt to disseminate the Louisiana law regarding disinheriting a forced heir and what steps you need to take if you wish to proceed with this action. Here is our disclaimer that we post at the beginning of all of articles: Each situation is different and may consist of a number of underlying issues. 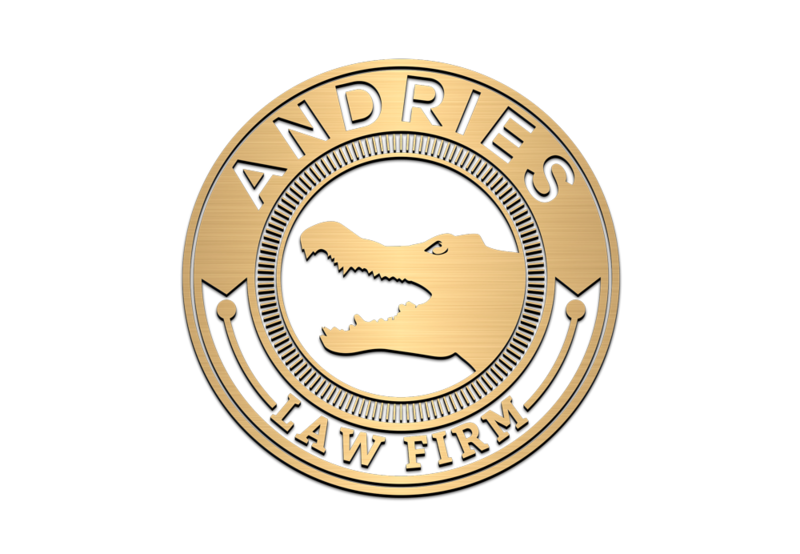 As such, it is highly recommended that you speak with an experienced Louisiana succession attorney at the Andries Law Firm to discuss your individual case. Okay, now that that’s out of the way, let’s jump into the discussion. The best way to cut someone out of your estate is by executing a valid Last Will and Testament in Louisiana. The law provides you with the ability to leave your movable and immovable property to anyone you wish. However, with most things in Louisiana law, there are a few exceptions to the rule. As we have discussed in previous articles, Louisiana has a body of law that protects a certain class of individuals from being cut out of an estate. They are known as forced heirs. Even if you want to leave all of your property to someone else, if you have children that fit into this category, Louisiana law does not allow you to bypass them. This is true even if you properly execute a valid Louisiana Last Will and Testament and specifically state that you do not want them to inherit. In case you have yet to read our previous article explaining forced heirship in Louisiana, here’s a quick primer. A forced heir is a child of the deceased that is under the age of 24 or a child of any age that are permanently incapable of caring for themselves due to a physical or mental infirmity. Louisiana has developed a set of laws that forces you to set aside a portion of your estate if you have forced heirs. Not everyone agrees with this concept and for good reason. We explained ways in which you can protect your surviving spouse’s interest in the marital home in the event you have forced heirs in a previous article by granting a lifetime usufruct over your community property for your spouse. This article will focus on the ways in which the Louisiana Civil Code allows for the disinherison of a forced heir. If an heir doesn’t fall into the class of forced heirs, all you have to do is write them out of the will and they will not inherit your estate in Louisiana. However, if they do fall under the specifications of a forced heir, you have to go a step further and disinherit them. The Louisiana Civil Code has a set of code articles that explains disinherison of forced heirs. A disinherison of a forced heir must be made expressly and for just cause. This means that the disinherison must fit within the parameters outlined in the Civil Code and the person to be disinherited must be either identified by name or must be identifiable from the instrument that’s used to disinherit them. A parent in Louisiana has certain recourse to disinherit their offspring from their estate. The list is fairly long, so I’ll just list it right here: (1) The child hit the parent or raised his hand to hit parent; a threat to do bodily harm is not sufficient. (2) Child is guilty of cruel treatment, crime or grievous injury towards a parent. (3) Child attempted to kill parent. (4) Child accused the parent of committing a crime that is punishable by death or life imprisonment, without any reasonable basis. (5) Child tried to hinder parent from making a testament by any act of violence or coercion. (6) A minor child married without parent’s consent. (7) Child convicted of a serious crime that carries a punishment of death or life imprisonment. (8) An adult child failed to contact or communicate with the parent without just cause for two years, however, active duty in the military forces of the United States cancels this one out. A grandparent may disinherit his grandchild for any of these causes, except for number six, whenever the offending act has been committed against a parent or a grandparent. Further, a grandparent may disinherit his grandchildren for the child being convicted of a serious crime that carries a harsh punishment such as life imprisonment or death. A child can be disinherited as a forced heir even though he/she was not a forced heir when they committed the act against the parent or grandparent. When drafting the instrument to disinherit the child, the reason, facts, or circumstances that constitute the cause for the disinherison shall be expressed. If not, the disinherison in Louisiana is null. Are there any defenses to disinheriting your child? Yes, a disinherison can be defended against in two instances: (1) the person who is being disinherited has to show that he was not capable of understanding the impropriety of his behavior due to his age or mental capacity; or, (2) if he can prove that his behavior was unintentional or justified. Basically, they have to show that they were too young to understand, didn’t have the required mental capacity or that it was an accident or they were within their rights to commit the act against their parents or grandparents. What happens if he apologizes or I reconcile with my disinherited child in Louisiana? A person who has been disinherited may reverse the disinherison by two ways: (1) proving that they reconciled (reunited) with the testator after the event of the reason for the disinherison expressed in the instrument. He must do so by clear and convincing evidence. (2) The testator signs a writing that clearly and unequivocally demonstrates that the parties reconciled. There you have it. Disinheriting a forced heir is no easy task, but it can be done if their actions fit the parameters outlined in this article.